As a species, our actions are harming the world we live in. We must learn to live in a more sustainable way. The growing issue of ocean plastic continues to dominate the headlines. As well as making for powerful documentries, plastic waste harms marine life – we aren’t here to glamourise the facts. 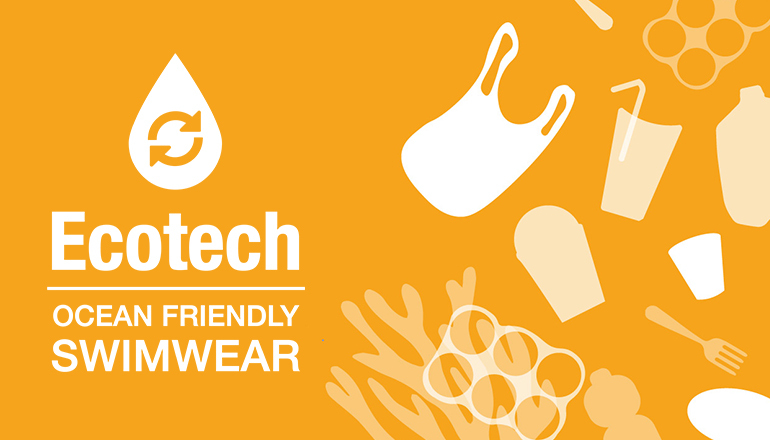 In our bid to tackle ocean plastic, we have created a new Ecotech swimwear range, Black Pack. Our Black Pack product uses ECONYL® regenerated nylon in our Ecotech fabric, which means our swimwear is made from 100% regenerated nylon waste that otherwise would have been sent to landfill or found its way into the ocean. 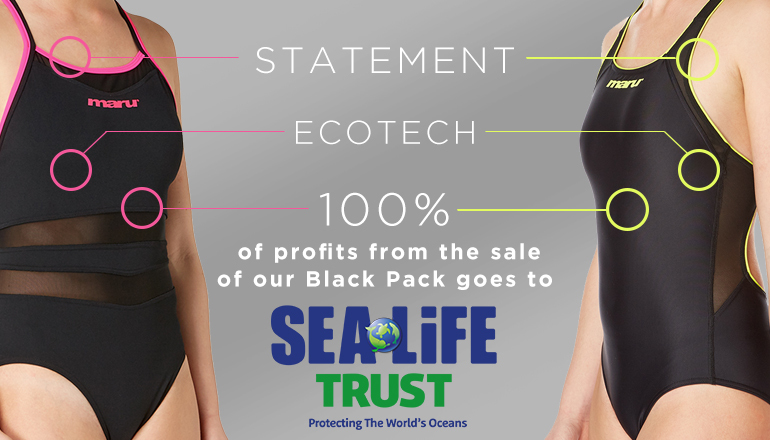 What’s more, we are donating 100% of profits from the sales of our new Ecotech ethical swimwear range to the SEA LIFE Trust to help fund global plastic reduction projects and campaigns. Made 100% with ECONYL® regenerated nylon from waste, available in two styles, Shadow and Panther. Our stylish Ecotech range combines sustainability with fashion. 100% of profits made from our Black Pack products will be donated to the SEA LIFE Trust. 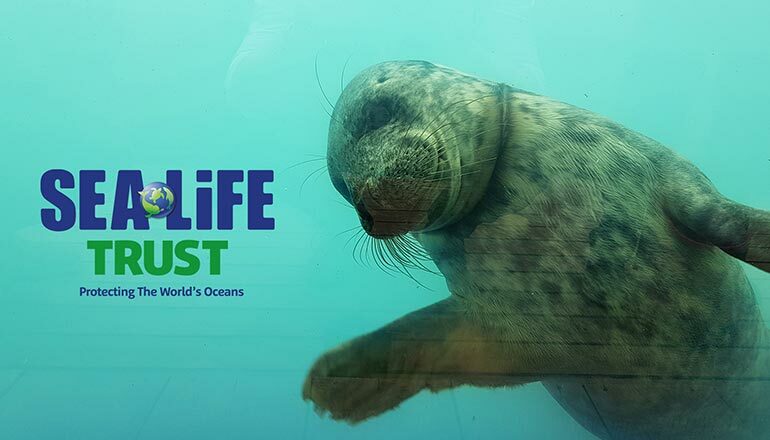 Maru are the Official Partners of the SEA LIFE Trust. 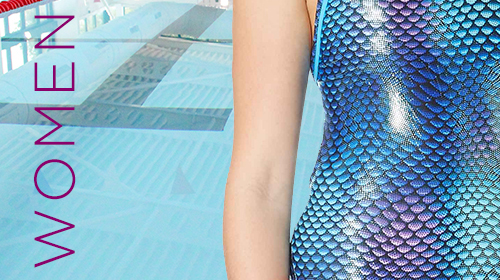 Your swimsuit’s life begins as a happy piece of fabric, printed in the UK. Our fabric manufacturers have installed their own chemical wastewater treatment facilities to reclaim and recycle the water involved in the printing process before it hits city treatment plants. Additionally, they’ve optimized their dyeing processes and machinery to reclaim heat and potential pollutants. The fumes that do make it into the atmosphere have much lower temperatures and levels of polluting agents than required by law. The costume then takes a Bulgarian holiday to take shape. The suit is cut and sewn together in an audited factory that adheres to policies and standards laid out in the SMETA Code of Conduct. A few of the labour principles outlined include fair pay, no forced or child labour, and anti-discrimination policies. By taking responsibility for their own production by-products and working conditions for employees, the factories we have chosen to work with ensure your swimsuit begins its life in line with Maru core values and is as ethically made as possible. Whenever your suit needs to travel, it takes the most eco-friendly route. Our boxes are made of 100% recycled materials and are 100% recyclable. Our supplier works to minimize their carbon footprint by planting fruit trees in the Forest of Hearts. 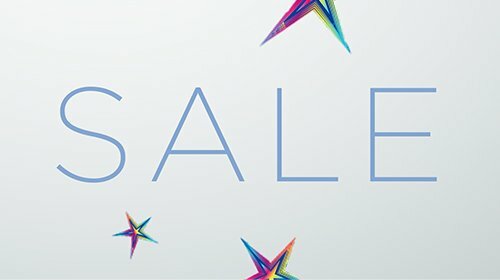 We ship by sea, rather than by air, and we never ship costumes on hangers. By optimizing space within each box – the suits don’t mind getting close – we can reduce the number of boxes needed. Your swimsuit completes the last leg of its journey to you in a cosy mailing bag that is 100% recyclable. Once you open the bag (and maybe use it to line a bathroom bin), you can pop it in with the rest of your recycling. The final stage of the swimsuit’s life is up to you. We’ve done our best to make sure its carbon footprint is minimal and made using ethical processes, but more than 50% of your clothing’s impact on the environment happens during the “in-use” phase. 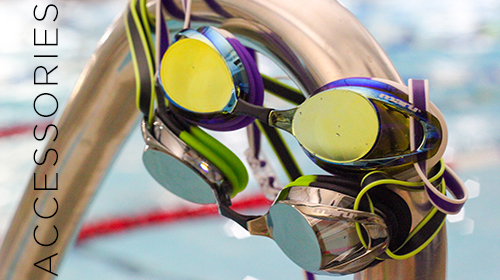 In order to keep your swimsuit (and the environment) happy, we recommend hand washing at cold temperatures. Not only will this save you money on your water and heating bills, but the colours and fabric in the suit will last much longer.